Holy cow, girls! Being sick by yourself is NO fun! I took meds before an early bedtime of 10pm last night, and more meds this morning. I went out to get an apple to take with my drugs (cause I didn't wanna be nauseous on top of sick), and found Tom and Eme and Jim and Joe sitting on the couch, watching cartoons. I asked how everyone was doing, and they said that Jim lost the dog. Whaaaat? And everyone is just sitting calmly on the couch? I don't get it.... They said that he let Boxer outside, and then came back inside, and forgot about him. And he must have jumped the fence, cause he wasn't there anymore. Crap. So I went to the front yard, and there he was, near the truck. He was pretty excited to see me :) I let him back in, and we had a talk about acceptable reasons to wake mom up on a Saturday morning. Emergency situations are GREAT to wake mom up, kids. Sigh. They'll get it one of these days, right... Anyway, I grabbed my apple, and some french toast, and headed back to my room. I ate one piece, and fell back asleep until around 9am. And still felt crappy when I woke up. I worked on a project on the computer for an hour or so before I came out of my room. If I sat real still, I didn't feel so bad. hehe. I got some pictures ready to get printed at Walgreens. Then Eme and I headed out to pick them up, and to get a gift for her friend. It was her birthday party at the bowling alley today. And we swung by Walgreens, and got the photos. 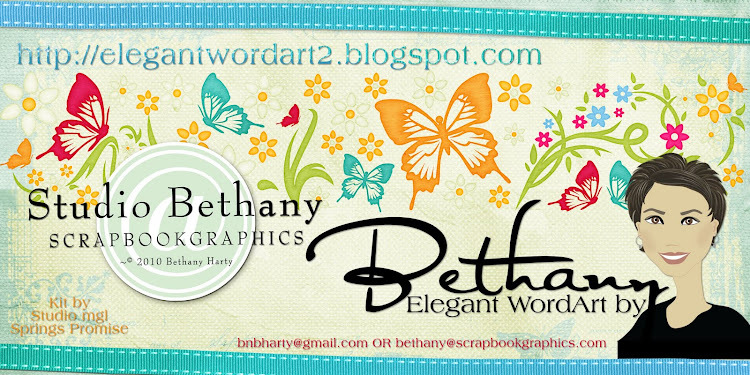 And I almost bought some frames at Walgreens or Target, but I couldn't see paying $3-5 per frame. It just seemed SO expensive to me. So we came home. And I framed the pics that I printed out, and made our wall of Captain America. And we hurried and got ready for the birthday party. I was starting to feel a tad bit better. Just a tad. So we drove on up to the bowling alley, leaving the boys at home with Jake. See my new hair thingy? The little girl in the gray is the birthday girl, Bryana. Super nice family. And, come to find out, they live 4 houses down on the opposite side of the road. Who knew! Eme will have a new little friend to play with now! Her mom seemed super nice, too! Stephanie, I think her name was. And then we headed back home. Eme had had a BLAST at the party. Cake and ice cream and bowling and pizza and goodie bags. And we had just enough time to get the boys to hockey. Busy day..... I needed a "sick day", but didn't get one! Here's me, sad that I have to take the boys to hockey, but stilll "drugged", so it wasn't too bad. I dressed the little boys in the parking lot (because it was warmer outside than inside the hockey rink), and went inside to get the skates. Kari and Leo weren't gonna be there today because Leo was feeling sick. Jealous - hehe. Anyhow, it took a good, solid 30 minutes to get the boys in their gear and skates. Dang, it's a long time! Here's Joe, skating SO well! After about an hour, we were done, and got changed, and headed back home. We got home about 5:45pm. And I was bemoaning the fact that I was sick, and had to make dinner. My drugs had worn off. And I felt like crap. My head was starting to hurt. My congestion was coming back. AND, I had a cough now. Sigh. And as I pulled into the driveway, Jake met me, and said that Kari had dropped off a Lasagna for us!!! OMHeavens! She was a GODSEND! Now I didn't have to cook, AND there was something for me to eat. That apple and french toast were the only things I'd eaten, I think. Wait, maybe I had a cheese sandwich at 3pm... Still, I was hungry. And everyone ate it! Even Jimmy had some bites. We ate ALL of the lasagna. Finished off the whole dish. hehe. I was trying to decided if it would be better to take drugs before or after blogging. Before won. hehe. Here's me, tipping back the bottle of Niquil. Hopefully it'll work! It's 7:12pm, and my head is still hurting. And I'm trying hard not to cough, because that just KILLS me. I'm gonna put the kids to bed after this episode of Dr Who is over, and watch some TV on my laptop in my room. Or maybe just go to sleep. Because I keep falling asleep typing this - hehe. Hopefully it makes sense- ROFL! Lovely, as always, Sharon! Thanks, my dear! Thank you so much for this post. 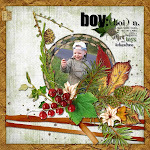 I want to let you know that I posted a link to your blog in CBH Digital Scrapbooking Freebies, under the Page 6 post on Jan. 30, 2011. Thanks again. Gosh, I feel so bad for you. I hope you get better very soon. Taking care of your home and the children is so hard when your sick and the only one to do it all. But you did and that says something about the type of person you are. :) I loved the way that you have the photos displayed on the wall. The black frames for dad and the children and the white one for you and your husband. Great idea. Your new green flower for your hair is way cute. What a blessing it was that your friend dropped off a Lasagna dinner for you and your children.